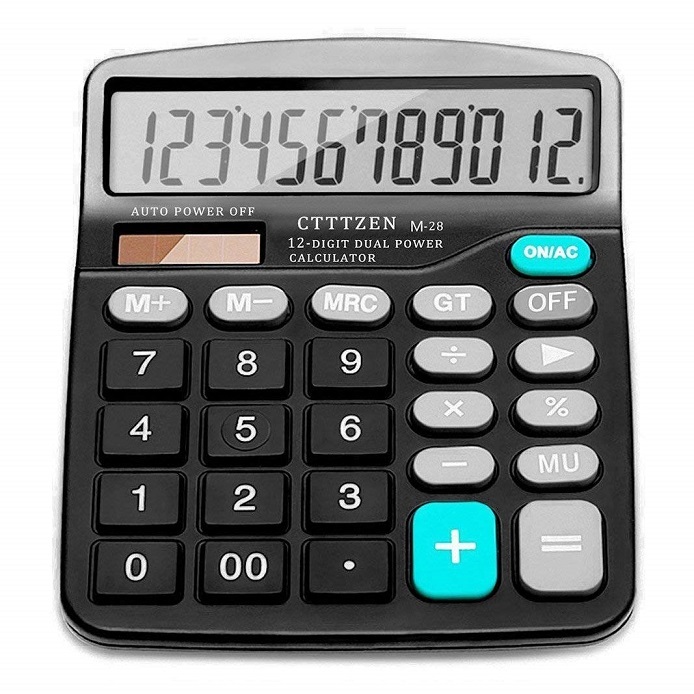 Eastpin basic desktop calculators are very convenient to use because of two-way power (solar & battery), 12 digit, large and tilted display, big button design and so on. So it can be used in all types of areas. We specialize in calculator for 20 years, hoping to provide customers with the best quality calculator. Dual Power: Solar and battery dual power works even longer. Eastpin calculators work on solar power and have a 1.5v battery (AA included) as a battery back up and has an automatic power-off. Large Display: CloudWave large display calculator is important kids supplies for school .Easy to read calculator with extra large LCD display. Big button Design: Eastpin calculators adopt scientific button design in line with the use of human habits and comfortable for touch. High Quality: Black panel and white button fashion style, ABS material durable plastic buttons. Occasion: General purpose desktop calculator, perfect for home, office or store. Gift: The easy to use calculator is a convenient Christmas gift for your father or mother.